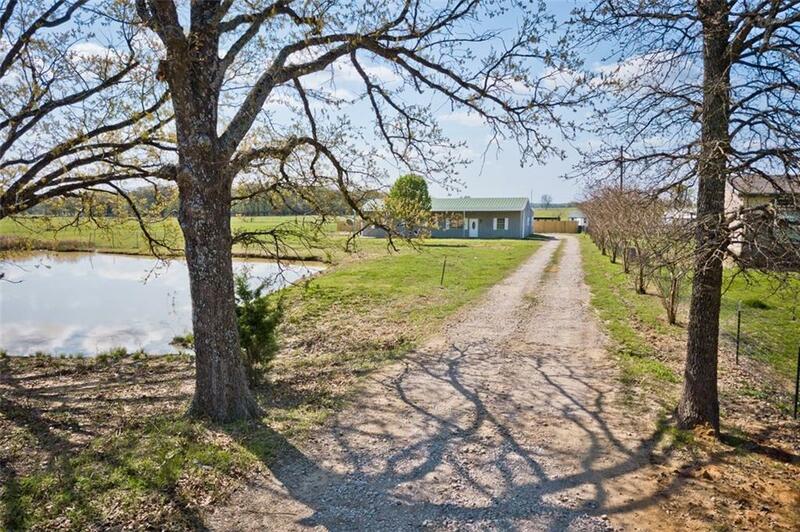 Fantastic, remodeled 3 bedroom, 2.5 bath, 2 living area home on 1 acre with stock pond! Barndominium-style home that has been remodeled with fresh paint, wood flooring, carpet, granite and much more! Open living, dining floor plan with decorative lighting and ceiling fans. Wonderful Satillo tiled floors, built-ins, and wood vaulted ceilings are just a few of the amenities this home has to offer. Great covered front porch that runs the length of the house for taking in the outdoors! Drip line sewer system recently installed. 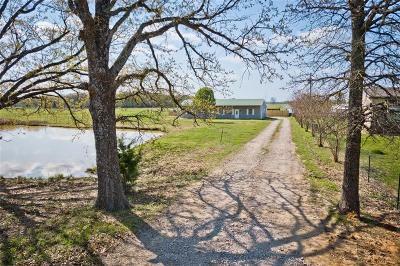 Room to roam on 1 acre!